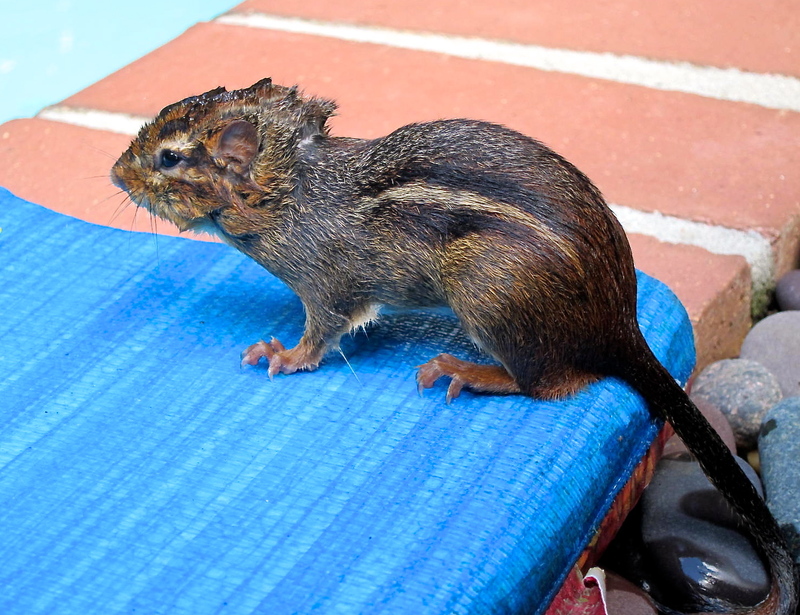 By the excitement in H’s voice, I thought we were finally going to witness a critter using our self-service rescue float to climb out of the pool. We had to scoop this little chipmunk out, however, when he began paddling in the opposite direction. He looks a little worse for the wear, but it was actually a successful save.